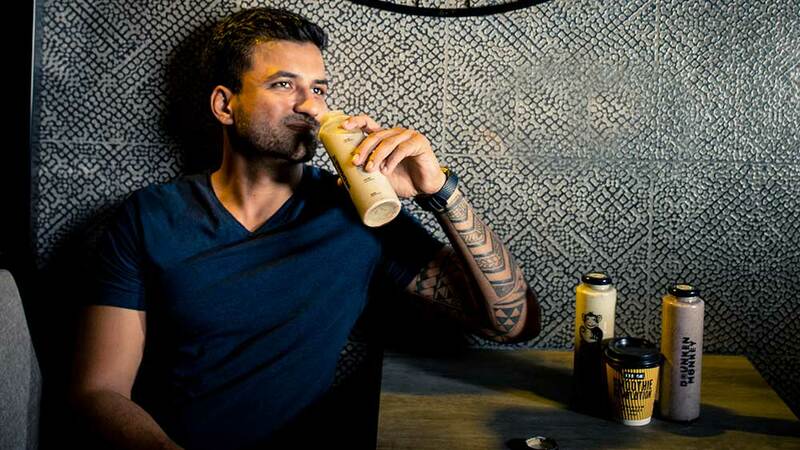 In a telephonic conversation with Restaurant India Samrat Reddy of Drunken Monkey talks about India' first smoothie chain. “When I was a kid I never had tea or coffees instead go with friends and sit like that,” remembers Reddy who always felt a need for the juice or the smoothie player to be around. There is to be small kiosk on roadsides selling juices and he used to feel that why it is not more advanced wherein one can go, sit and enjoy juice. Since, there was no brand selling smoothie for people like him. He felt that he can bridge the huge gap that was there in the industry and hence, started Drunken Monkey where his goal is to have everyone access to a smoothie place at the walk of 5 minutes wherever they are. “It’s not about making money and instead I felt the requirement,” he adds. “One of the reasons the juice players failed because they didn’t modified or adapt their menu/product for the Indian market. So, if you are going to set up a smoothie place with fruits that are not available in India, it is a very difficult proportion. Firstly, you are saying that you are serving fresh secondly the fruits are not locally available,” shares the proud owner of India’s first smoothie chain. So, international players came with the same menu, tried to use fruits available in colder conditions and based on that they never put in their money to do R&D for what kind of fruits suits and grow in which region. “We started completely from scratch on what menu would work here. And, also even if we go abroad we need to adapt our menu as per that market,” he explains further. Competitions come from smoothie brands and other beverages too. “Nationally, we don’t have a player competing with us but there are few locally,” says Reddy who sees competition from small players doing 3-4 outlets in cities like Chennai and Bengaluru to name a few. “We feel that we have the biggest product range that anyone does,” he smiles as he is not afraid of competition and in fact he wants to make smoothie a lifestyle. “I would be happy to join hand with our players making it more popular,” he shares adding that coffee and smoothie can co-exist. A person who takes coffee can have smoothies. By the time Reddy opened four outlets he was very sure that if he hires a manager, he would not take the brand seriously as a partner would do. So, instead he started looking for investor in his business seeing that it is good to have one owner for each outlet who can run the business like his own outlet. Samrat entered franchising from his third outlet and today he is running close to 70 outlets across India. “We went this route because there was proven records from some of the top brands globally. In terms of how we can manage F&B operations franchising was the best option available,” he adds as he now targets to open 200 outlets by March 2020. “We want to be all around world doing 10000 outlets by having a national presence,” he adds further as he is also planning to venture the retail market by next year. “Our top performing outlets is our outlet at Bangalore Airport that does anywhere between 20 to 25 lakhs per month," he smiles. Apart from his dedication for smoothie business, Samrat also love sports and play it when he is not working. “I play basketball and football,” adds the athlete restaurateur.